When we first got in touch with people from the EDC-Free Europe campaign, I instantly knew it’s going to be a good fit. They work for protecting the helath of Europeans and their environment against harmful chemicals; the type of project we all stand behind. Meeting them in person confirmed my good feelings: the cool and easy going vibe of their entire office meant we clicked straight away. 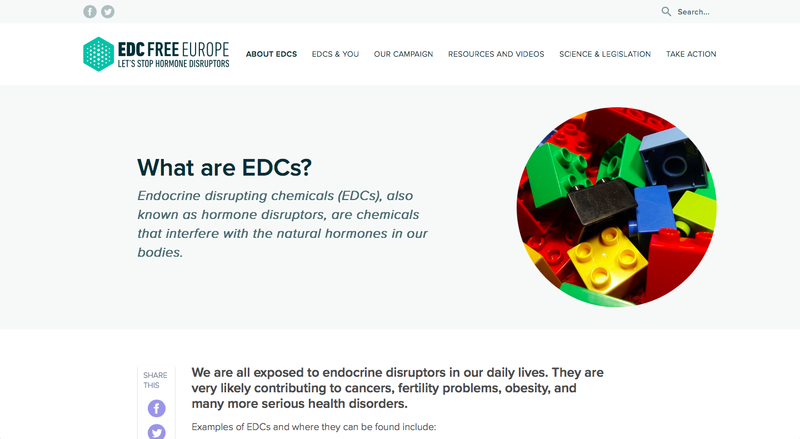 EDC-Free Europe is a coalition of public interest groups representing more than 70 environmental, health, women’s and consumer groups across Europe who share a concern about hormone disrupting chemicals (EDCs) and their impact on our health and wildlife. The organisation got in touch with us, because they were looking for a redesign of their website, complete with rebranding. 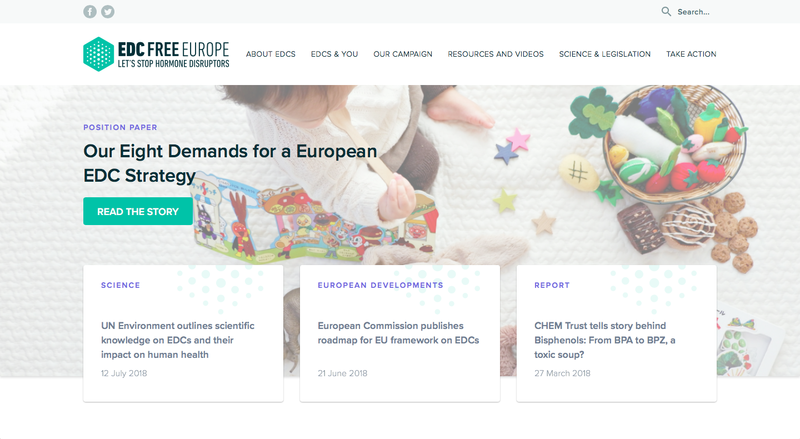 While the EDC-Free Europe made great strides in creating reports, campaigning lawmakers and creating an international coalition, their message didn’t show as well as they wanted through their website. This is where we started. To initiate the website redesign process, understand their reasons and define their goals, we met at the HEAL office headquarters in Brussels. Probably the biggest challenge in the entire process was to rebrand the organisation, and frankly it was completely unexpected. There is no universal symbol for EDCs, so which direction should we go? After several rounds, we have ended up with the final logo that all stakeholders are happy with. After having the new logo in place, things sped up: our sitemaps turned to wireframes, wireframes into designs and finally designs into code. The usual stuff. We are happy with the final results and personally I am glad we managed to form another great professional relationship. It was a pleasure to work with the EDC-Free team on this project and I’ve got a feeling this is not the last time we work together. Make sure you clear roles when starting the project. You want to know who’s making decisions on what and you will want to make sure your clients keep their word. Design by committee is a nightmare. Always do content inventories. They will help the client understand the magnitude of content you need to deal with and enormously help decision making about old content. Card sorting exercises are fun for the client and help you big time with information architecture. I can only recommend Optimal Workshop. Don’t be afraid to say no, your clients are cool enough to understand. If you are also planning to undergo the same process and you don’t know where to start from, I can help.